The Swedish Final, Melodifestivalen 1993, was held on March 5th at the Lisebergshallen in Gothenburg, hosted by Triple & Touch who participated in the 1988 Swedish final. The 10 songs were reduced to 5 finalists by 11 regional juries, before the winner was chosen by regional televoting. Högt i det blå - N.E.O. The winner was dansband Arvingarna with the song Eloise, written by Gert Lengstrand and Lasse Holm. At the ESC in Millstreet, Sweden performed 13th. As the close of the voting, they had finished 7th in a field of 25 with 89 points. 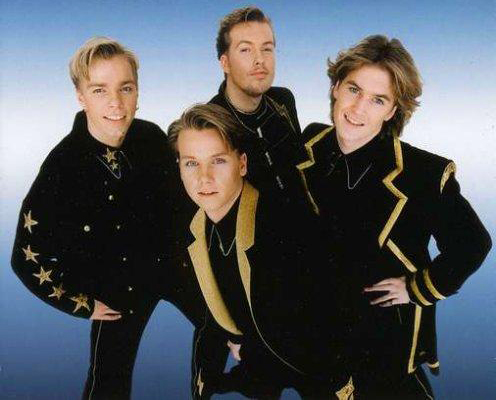 Arvingarna is a Swedish dansband, which was formed in 1989 and which competed in the Swedish Melodifestivalen in 1993, 1995, 1999 and 2002. In 1993 they won with the song Eloise and represented Sweden in the Eurovision Song Contest 1993, where the song finished 7th. Arvingarna plays a form of dansband music that is it inspired by pop music and rock music.